When you need to do a Wi-Fi pentest or just monitor your office Wi-Fi security you will need a usb adapter that has monitor mode and it allows to inject packets. 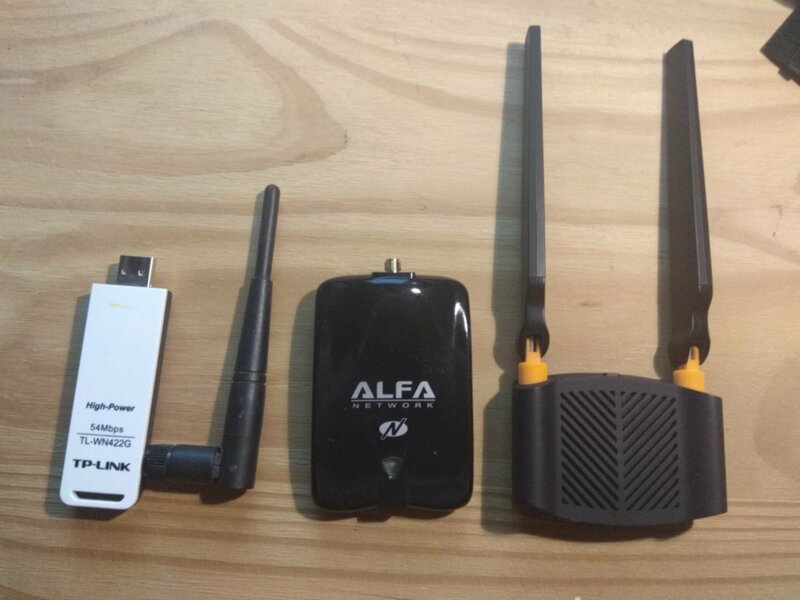 In this post we will focus on kali linux wifi adapters that are compatible with Kali since the linux distro cames with preinstalled security software. Also we you need buy an adapter that has most of the standard. Usually an adapter will work if it has a compatible chipset, there are many vendors that uses the same compatible chipset. We prefer Alfa since those are the best and has the longest range. First we are going to talk about the Realtek RTL8812AU which is a great chipset. The Alfa AWUS036ACH is one of the best 5ghz usb dongles for Kali. It has a long range dual-band and it cames with external antennas, which allows you to put a more powerfull antenna. Two high-gain 5dBi dual-band antennas with connectors. Kali support on 2017 for injection. In 2017, Kali Linux began supporting drivers for the RTL8812AU wireless chipsets. These drivers are not part of the standard Linux kernel and have been modified to allow for injection. This card will allow you to see everything around you! The AR9271 is the most easy to configure and use, which should work out of the box. If you are looking for a high powered wifi adapter the Alfa AWUS036NHA is the best adapter you can find, however is very expensive. Another model using this chip is the famous TP-LINK TL-WN722N which is a great usb adapter for home or small office. The don't recommend to use this chipset since we found too many issues to use the packet inyection. We had to recompile the driver. There are some cheap panels with long range antenna using the Ralink RT3070 . We tried those and the range was awesome, however to it took us too much time to configure. Also the chipset usually support "G" and "N" only. This chipset is very old, we don't recommned to buy a new one. However in the past it was one of the best chipset to use.